Storey Publishing, LLC, 9781603429801, 192pp. Matthew Wolpe and Kevin McElroy are the owners of Just Fine Design/Build, a studio that produces original handmade furniture and small structures. 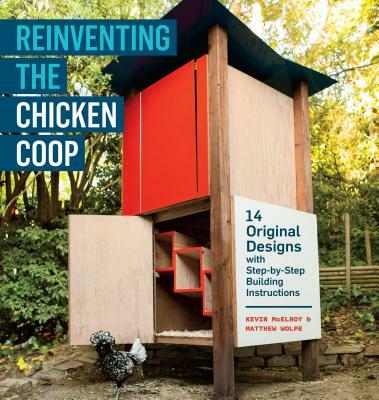 In 2010, they designed a chicken coop called “Chick in a Box” that went on to win an Editor’s Choice award for design at the Bay Area Maker Faire and was featured on theMake Magazineblog, theFarmhouse Modernblog, and theTreehuggerblog. Matthew also is a Senior Mechanician for Furniture and Carpentry at the University of California Berkeley's College of Environmental Design and teaches woodworking at The Crucible, a non-profit arts school in Oakland. Both authors live in Oakland, CA - Matthew in a 120-square-foot tiny house he designed and built.